It's not everyday you get to see anything related to the Tribe in Arkansas, so I was happy to see this ad! A few days ago, perhaps a tad longer than that, I received a bubbleope from Rod "Readerman" Richards. When I picked it up, I heard a bit of rattling around in there, so my curiosity was certainly raised a bit. My favorite of the lot, of course, "I'm Bringing Paperback." Even my daughter "got" the joke! Excellent stuff! First up: 2011 Heritage Clubhouse Collection Relic Arodys Vizcaino, 2011 A&G Chris Perez, and 2011 A&G Carlos Santana. I had to look up Vizcaino because I am not familiar with him. 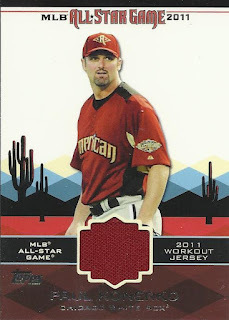 Turns out, he is a Braves "future star" that ultimately figures in to the Derek Lowe deal with the Tribe. How? Well, I figure if he stays up in the majors (he saw some time last year evidently), he may show that getting rid of Lowe was the best move more the Braves. I can't say I disagree. I can't I agree with the Tribe getting Lowe, though. I digress. 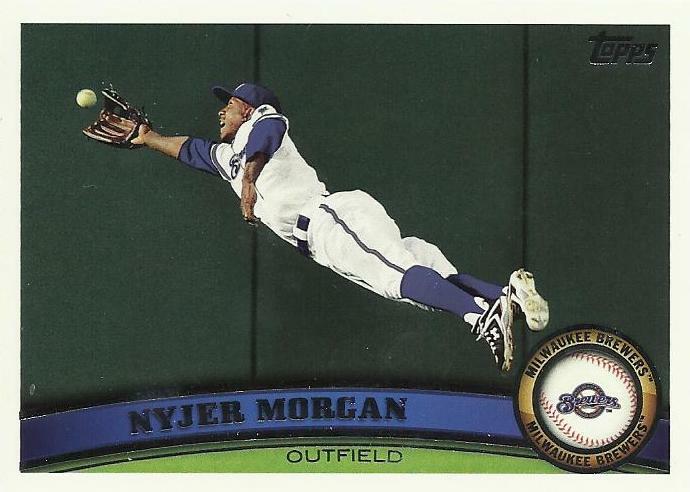 The card itself is Heritage classic: wood grain background, washed-out/faded image, nice sturdy card stock. The Allen & Ginters are VERY nice this year! I know, not everyone is a fan, but I am. I love the trim/border and the colored logo area. Great stuff. And, I get Perez and Santana to boot! Wahoo! Next up, a trio of 1988 Score cards: Cory Snyder, Carmen Castillo, and John Farrell. Synder, of course, is one of the Indians all-time fan favorites. He played nearly every day, every chance he got. He wasn't "Hall of Fame" level, but he was "Get in there and get to work" level. And, in Cleveland, that's what matters. Carmen Castillo didn't play as often as Synder, but still managed to hold his own with an AVG that mirrored Synder's as well as an OBP that was about the same as well. John Farrell served as part of the Indians starting rotation through the late 80's into 1990, then made a brief return in '95. I'm not crazy about the purple borders on these, and the double border design seems to shrink the photo even more than it already is. In any case, I love getting Tribers from days gone by! The next cards include 2008 UD First Edition Update Jhonny Peralta, 2008 UD First Edition Update Paul Byrd, 2011 Bowman Chrome Prospects Kyle Blair. I love these UD First Edition cards. Large photos with text that doesn't overtake the card and they are borderless. Nice stuff here! The Bowman Chrome makes the photo look like it was tacked on as an afterthought - so small... So small... (Okay, that double "so small" is a reference to Stephen King's short "The Man in the Black Suit."). The Kyle Blair card threw me a bit because the auto doesn't say "Kyle Blair." There's a good reason for that: his name is actually Blair Kyle Carson, and the auto is, of course, his legal, contract-binding name. So, mystery solved. Is he likely to see The Bigs in 2012. I'll vote yes. 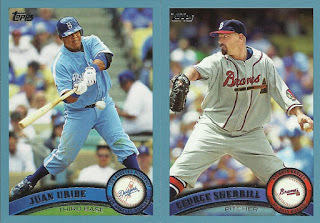 The next three Tribecards are 2011 Topps Lineage Grady Sizemore, 2011 Topps Lineage Cy Young, and 2011 Topps Mitch Talbot. I think I've said this before, but I love the look of the Lineage cards! They are, how do you say, "modern retro." Haha, something like that. And, I also happen to like the 2011 base product design as well. Grady Sizemore is coming back to the Tribe for another year of "maybe he'll play today, maybe he won't." Cy Young. Perhaps you've heard of him? There's some kind of pitching award handed out with his name on it. You didn't know? Yeah, he was one of the best freaking pitchers out there. 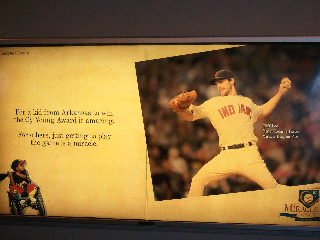 Yeah, he played for the Indians! In his pitching debut (for then Cleveland Spiders), he pitched a 3-hitter. Just sayin. Talbot has elected free agency and might be picked up by someone - if they overlook his horrid 6 gazillion ERA. Ouch. So, check these bad boys out: 2011 Topps Diamond Anniversary Gold Sparkly Kosuke Fukudome (yes, that's what I'm calling it, got a problem with that? 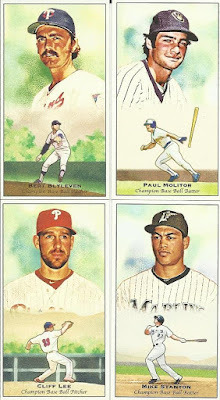 ), 2011 Gypsy Queen Carlos Santana, and a 2011 Topps Update (or something or other) Lonnie Chisenhall. The gold sparkly ROCKS! 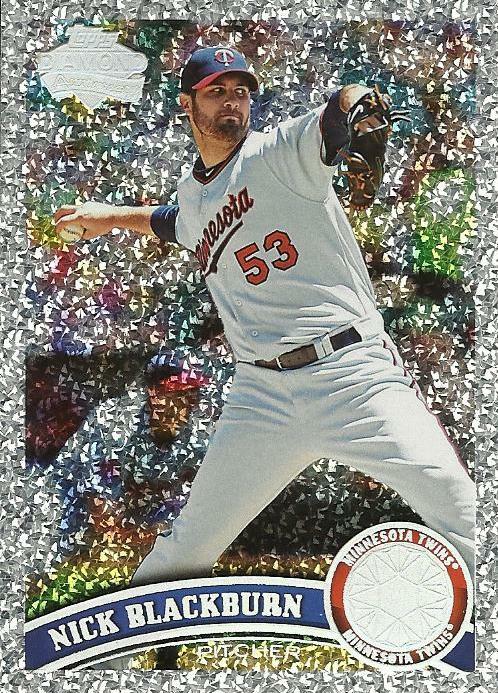 Man, that is one sweet card!The Gypsy Queen is an interesting fella. The border is a bit big, but I can't help but like the text on it and the weird cell-shading effect of the player. Cool card. Chisenhall was gonna save the team. That's a lot to ask of a kid. Just ask Sizemore. Overall, though, a sweet triplet. I want to thank Rod for a VERY cool surprise package!! These are some great Tribers and a handful of cool literary buttons to boot!! Not often those two worlds collide for me, and it's nice to see they make a neat pair! In fact, I think it's time to sit down and start a baseball-related novel. I mean writing one, not reading one, although there may be some of that too. Add "BaseballDigest Online" Contributor to the list! A couple weeks ago, Bill Ivie of BaseballDigest asked for folks to submit a "Report Card" for their favorite team(s). I volunteered to take an honest, hard look at the Indians. Let me assure you, it may not be easy reading if you are the type of fan who only sees the team through red-and-blue-colored spectacles. The Indians finished 2nd in their division in 2011, which is great. But, they also finished just south of .500, which is basically average. Well, in my book, it is average. Mind you, the writers were not given any kind of rubric with which to base their findings, so I made up my own. Namely, I see a .500 season as "average." After all, a 1.000 season would be an A+, a .750 would equal a "B", a .500 is a "C", a .250 a "D" and anything short of .250 is failing. I may very well be the only writer to evaluate their team that way, but, as I said, I made it up. Feel free to agree or disagree. So, overall, the Indians were a "C-/D+" team in my opinion. And, after reading about injuries and lack of player continuity at just about any given position, hopefully you will see why I graded the way I did. I love the Indians, and have for a long, long time. I outgrew the "blinders-on" fandom back in the 80's. I want to see the Indians do well, play hard, stay healthy, and make good, solid management decisions. Looking back on a season with extreme highs and devastating lows, I believe I have provided a solid representation of my beloved Indians in 2011. About a week or so ago, Jesse from 49thstatehardball.com asked for volunteers to participate in a project he was developing. So, a few days ago, he dropped me a line to ask for my input regarding a few ex-Alaska League players who are part of the Indians organization. Admittedly, I had not really heard of the players since I don't generally follow the prospect scene. But, I agreed to the project because I thought it would be a fun challenge. It was! I did as much research on each player as I could, then culled together my thoughts based on stats, info, and general "gut feelings." 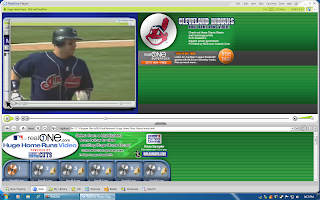 I guess we'll see how close I come when the Tribe take the field in 2012. Oh, I know, you think I fell off the face of the Earth after posting how I was going to write more and do better. Evidently, I am not a very good steward of the Tribecards name, especially in the off season. 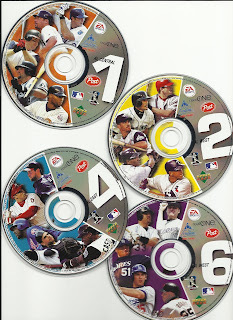 Well, as a teaser, I can tell you that I have been working on a series of articles for Baseball Digest Online (along with a slew of other folks) that recaps the 2011 baseball season, looks at the team's off season, and then looks ahead to next year. Once my article has been edited, approved and posted, I'll share it with you, along with additional thoughts that didn't make the summary. I have a feeling my submitted piece will get cut a bit as I wrote a tad more than double the requested word count. And, I didn't even digress in it! So, you had to watch Game 7 of the World Series on TV with the majority of folks (including myself)? What if... Just, what if... You and two of your buddies decided to hop in a car and head to Game 7 without any tickets and not really much of a plan? *Note: I **DID NOT** go on this trip. I am merely sharing an incredible tale! Heck, I don't even know the guys involved. And, even if I did, I'd probably have to claim I didn't after their adventure anyway for legal reasons! Announced today, the Indians have decided NOT to exercise Grady Sizemore's option, while choosing to keep Fausto Carmona. What seems to be the bane of Tribe fans who are voicing their opinion overwhelming supports the Sizemore decision. What many fans are crying FOUL over is the decision to keep Carmona. Why bother keep Carmona? Well, with his 7-15 record and abysmal 5.15 ERA, that is the multimillion dollar question. My take on this? They kept him, hoping for a just-above-par performance next season in order to facilitate a trade. Basically, I think the Indians are hoping he can improve enough before the 2012 trade deadline and work out a deal with some sucker. Of course, once Carmona does get traded off, he will become the darling of the MLB, as how things seem to turn out for many of the Indians players lately. Okay, maybe "darling" is stretching it a bit. What of Sizemore? I think he should retire from the MLB. Seriously. Take the injuries and head off to a career as a semi-pro player using his "what I used to be" history and help some club boost their numbers. 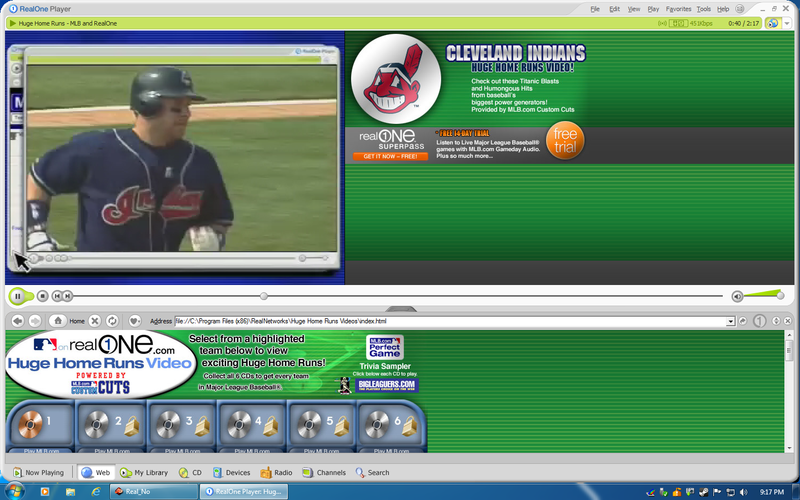 Of course, I may be in the minority here, but I see Hafner doing the same thing. The Indians cannot simply go one coddling players that used to be killer and who are now just injury-prone has-beens. 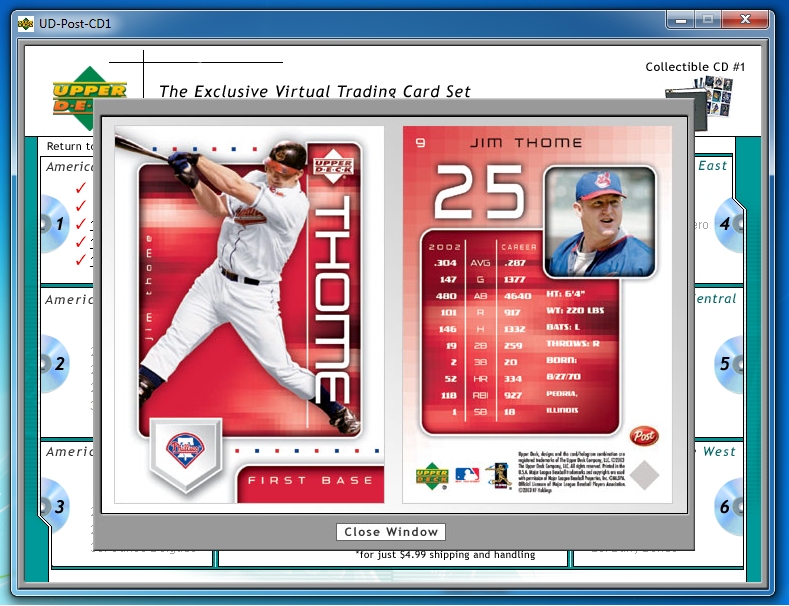 What of Thome? Well, evidently he has filed for free agency (along with several other Tribers). While I would love for Thome to get a World Series ring, I think his incredible (though mostly ignored) career should go out on top with this 600+ home runs. Getting back to the original topic: What do you think? Was keeping Carmona and ditching Sizemore the right thing to do? Thanks to a heads-up from Cardboard Connection, I was turned on to a study done which looked at racial affects of sales on eBay. 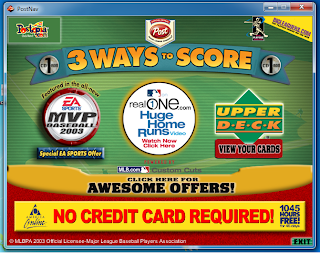 The authors of the study chose to sell baseball cards. In each auction, a single hand was shown holding the card. The study then evaluated the original purchase price versus what the card sold for in the study's auction based on the race of the card holder's hand: that is - do African-American sellers get lower bids than White sellers, based on only the skin color of the seller? 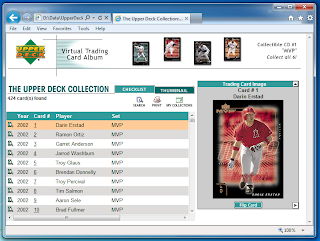 In the study, the authors do a fairly good job of eliminating most of the variables related to eBay auctions: sellers have non-identifying IDs, paypal accounts, etc; different sellers offer up a variety of player cards; no interaction between sellers and potential buyers was conducted during the auctions, etc. The authors prided themselves on NOT selling the same cards among the participants. That is, no two sellers sold the same card. I see this as a serious design flaw in the study. Why? 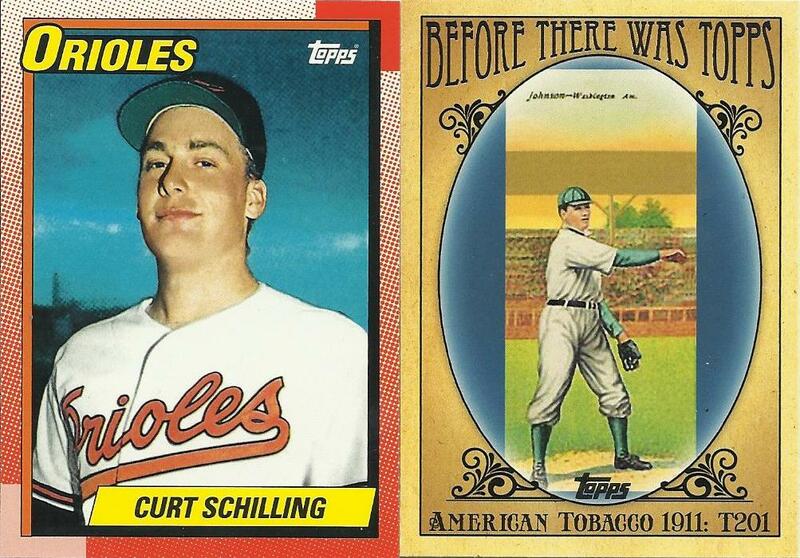 Because in card collecting, WHO is pictured represents a very significant piece of the puzzle. Even if superstars are spread among the sellers (which they were, as well as memorabilia/auto cards), one must still take into account the actual player(s) being depicted. Granted, the authors were not trying to see if the cards sold for more or equal value to what they were originally purchased (though that is a part of the data). They wanted to see the overall difference: did white sellers have higher sales than non-whites. To me, they were not comparing items on a level playing field. This was akin to comparing sales of Granny Smith apples to Red Delicious. I do understand that they did not want to appear to be flooding the market with any particular card, but to me anyway, the study should be re-done using cards of the same players, and preferably of the same cards (or at least have some control cards involved: each seller has, say, 8-10 of the exact same card as the other sellers for sale). For clarity here: I do not mean each seller has 8-10 Rollie Fingers autograph cards. I mean each seller has a Rollie Fingers auto card, each one has a game-used McGwire card, etc and preferably it is the SAME card. 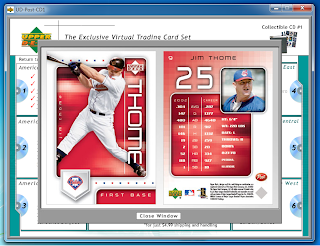 So, potential buyers would see FOUR Fingers cards, FOUR McGwire cards, etc - the ONLY difference being the hand which holds the card. The second flaw in the design: Players/teams being offered. The study was done around May 2006 (judging by the posted photos of completed auctions). April/May is actually not a bad time of year to do such a study: Baseball season is gearing up/just starting and potential collectors tend to buy more/bid higher. I admit, though, that the players generally being offered are of a caliber that they should garner decent sales results regardless of the time of year. However, collectors are a finicky lot. Some player cards will warrant higher selling prices for all kinds of reasons: does the collector mainly collect Hank Aaron, does the collector mainly collect Astros, how common is the card being offered up, etc? I think they did a nice job of mixing graded and non-graded, spreading out the production years, etc, but still: WHO is on the card? As mentioned above, a more consistent offering of the players depicted would have evened the playing field. 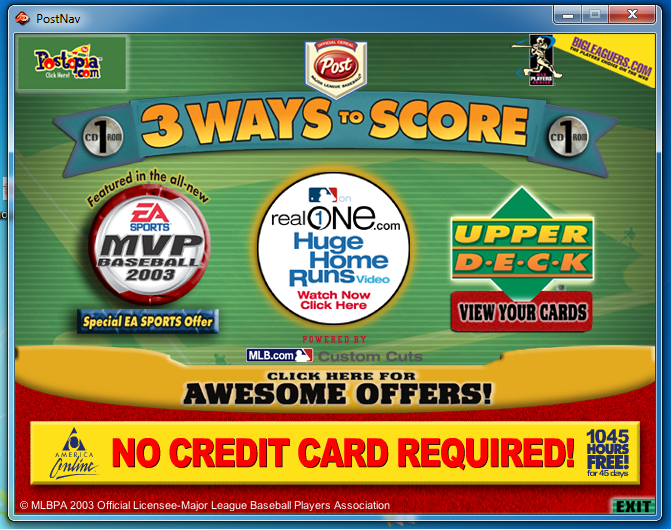 The study reports on the race(s) of the player(s) shown on the card. As a collector, I say they wasted a lot of time on that one. 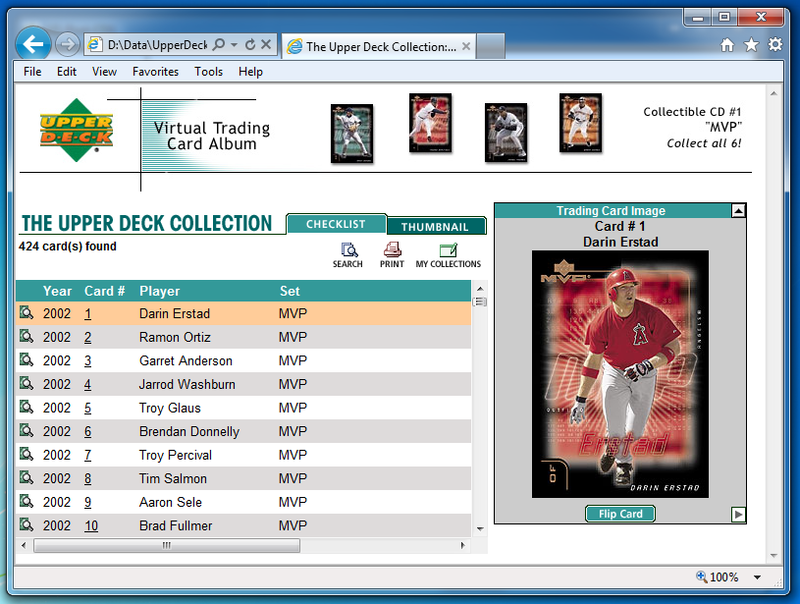 Generally, collectors do not collect based on the player's race (though, admittedly, I am sure there are collectors who do that very thing) - they collect based on WHO is shown on the card (whether that be a specific player, team, etc). While the data showing seller race compared to depicted card race(s) was a fun aside, that is all it was: a distracting aside that bears no meaning on the true focus of the study. Perhaps a "better" control study would have been to offer one copy of each card without any hands being depicted at all. Would the lack of any kind of identifying race have changed the outcome of the study? Something to think about. Of course, the number one issue at hand has nothing to with race. 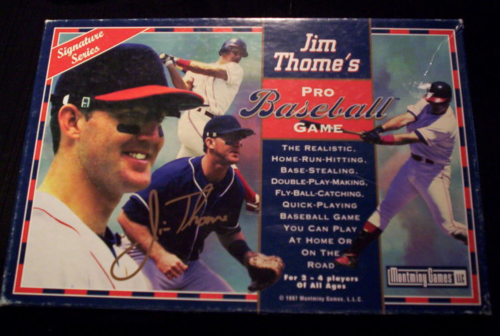 The number one issue is the use of baseball cards as the study's vehicle. Baseball card prices are some of the most liquid figures in the known world. Even when offered for a week at a time, any given card might garner higher sales or lower sales based on absolutely nothing whatsoever. In fact, perhaps a follow-up study should be done with the same cards in order to see if the data returns the same. Naturally, that wouldn't really be conclusive either based on the third sentence in this very paragraph: card prices are liquid. Here's another thought: What if this study were done with, say, football cards instead? Or how about hockey cards? Would we see the same results? Would it matter, given the flaws inherent in such an experiment? What if the experiment were done with jewelry, videogames, or Fruit Loops? I appreciate what the authors were trying to achieve: a determination of whether race plays a significant role in eBay auctions. But, one set of sales based one type of product is hardly conclusive. They even say so themselves, though not in so many words. A while ago, I signed up for a case break over at A Cardboard Problem. 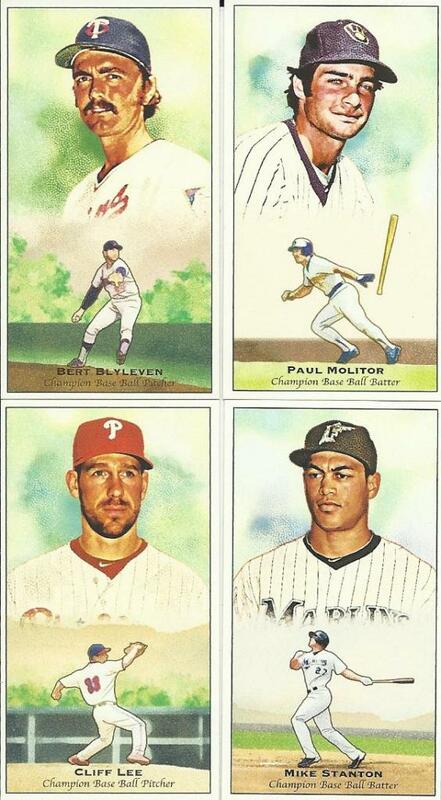 Well, the break finally took place once the cards were released from Topps and ACP got hold of the cards. After the break, I received an email from Marie. She let me know that the Indians raked in exactly ZERO cards from the entire break! Say what!? ZERO Indians cards in the entire box or case or whatever it was!? No way! Way. Nothin'. Because Marie is such a great person, however, she made an offer I couldn't refuse and so I will be trying again for the next break. 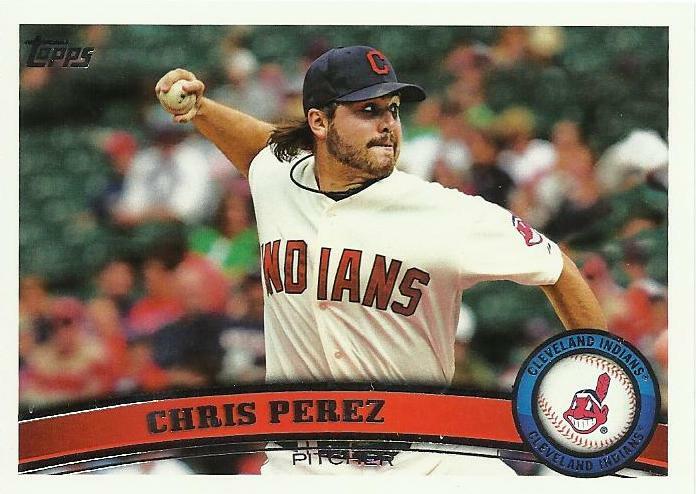 I can't help but wonder how it is that in all of the Topps collation systems, there are ZERO Indians cards in the box. In the whole box!? 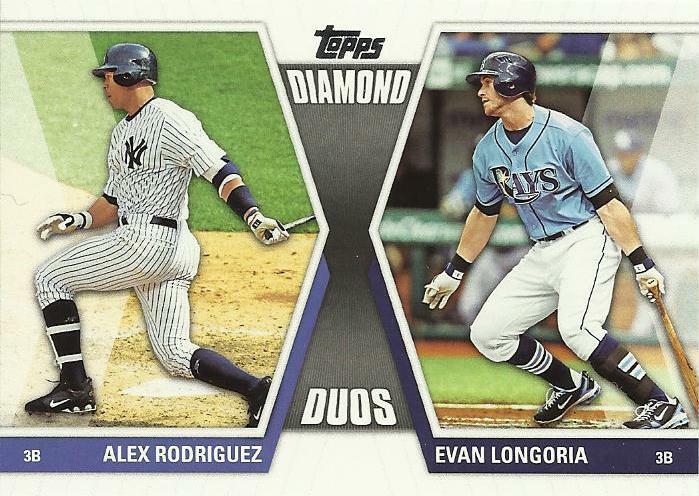 Really, Topps? Oh wait, I know.. This was an "error box" right?